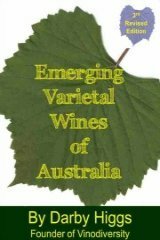 Australian winemakers are now using a much wider range of grape varieties. 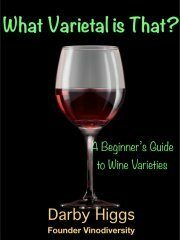 Many of the newer varieties are from Italy and the list below is of the more important ones, along with a few notes on their origins and the wine styles. 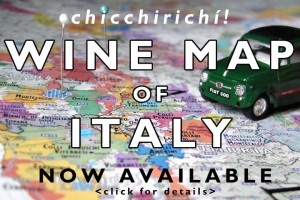 The wines listed below are ones which we readily identify as Italian, but other international varieties such as Chardonnay and Sauvignon blanc are grown extensively. Other varieties such as Gewurztraminer and Pinot blanc are not recognised as Italian although they are widely grown in Italy, under the name Pinot bianco in the latter case. Arneis is a white wine variety from the region of Piedmonte in North West Italy. It makes elegant, lightly perfumed wines, but was also used in small quantities with Nebbiolo in that region - just a little to add a little softness to the dominant red variety. Until recently it was fairly rare even in Italy, but is now recognised as a quality variety, both in Italy and Australia. Biancone originates in the Marche region of Italy. This is a very high yielding white variety which is used primarily for the production of wine for distillation, but under some circumstances it can make distinctive dry white, or in the case of Lake Moodemere in the Rutherglen region into a sweet late harvest style. Its French synonym is quite revealing - Grenache Blanc Productif. There is some confusion about the variety as the name Biancone is sometimes used as a synonym for Trebbiano, but it is in fact a distinct variety. This variety originates in the Puglia region of Southern Italy. It is an extremely late ripening variety and hence only suitable for the hottest wine regions, such as the Riverland in South Australia. In Puglia it is used mainly for blending with Bombino Bianco and Verdeja. This is a white grape variety from Piedmont and Lombardy in North West Italy. It is the variety behind the famous Gavi wine. It makes wines with good acidity but not always with adequate body and flavour. The one Australian example I have tried though is very good. Another Sicilian variety, but thus far only one producer in Australia. This variety is native to the Italian island of Sicily. Its role until recently has been as The principal variety in the fortified wine Marsala. Now with modern winemaking it is used to make crisp dry whites with citrus flavours and good structure. This is certainly a wine to watch. The first Vintage in Australia is 2012 from By Jingo Adelaide Hills. 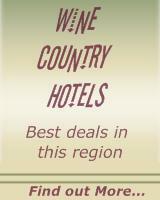 Of the varieties listed above it is clear that Pinot gris/gigio is well established in Australia. Trebbiano has been in Australia for a long time and will continue in its role as a blending partner as well as a major component of bulk wine, while some producers are making well structured wine from the variety. Three varieties which I believe will move from the "alternative" towards the mainstream over the next few years are Arneis, Fiano and Vermentino. All three have quite short histories in Australia, but the quality of the wines produced thus far and the number of wineries already producing suggests to me that these three will be with us for a long time. Greco has already shown that it can make very good wines here. Of the other Southern Italian white wine varieties I think Grillo will eventually succeed, and two that are completely of the radar Catarrato and Inzolia (both from Sicily) may have a future. Of the sparkling and frizzante styles Moscato has been a bit of a marketing phenonemon with the style going from a virtual unknown into a major seller in just a couple of years. I expect Australian Prosecco will do well but not as well as Moscato.